Progress continues. Blah blah, uncleared, blah. Have you ever played a video game and thought : "This Game is great and all, but it's not manipulating my feels enough and, gosh darnit, really needs to be less fun." But, I must ask, if the games shouldn't be fun- what SHOULD they be? Super duper agreed! Personally I become immediately distrustful of anyone who uses the word super too often, or can say super duper and not mean it as a joke. Well, there you have it. We need games that are not fun and make use of emotional skills! Games that TEACH us something. Useful life skills for these poor, under-represented people. Well. They could be poor in other ways. Perhaps they have a dearth of other things, like self-awareness. So without further delay, let me throw out some free ideas for games with feels to be won over by leet emotional skillz rather than anything rationally defined and- most of all- almost entirely devoid of fun. Life is Pain is the flagship idea here, using cut of the edge pixelart with 100% more feelings than possible in triple A titles. In Life Is Pain, you take on the Role of Regina Womanly. You will use a custom electrode-enhanced mouse to guide Regina to endure the impact of the balls, representing the horrible misogyny women suffer under constantly. By doing so you deflect it upwards, and shatter all sorts of ceilings representing every shade of ism in multicolored blocks. But there is a cost, you will share in Regina's pain. Every time you guide them to deflect the evil balls, you will be shocked by the mouse. No, it's not at all like Arkanoid rigged up with electric shocks for playing it. You have no mind for metaphor, you likewise probably haven't picked up that why the balls smacking into Regina hurt so is because it reminds them entirely too much of when they were a man. 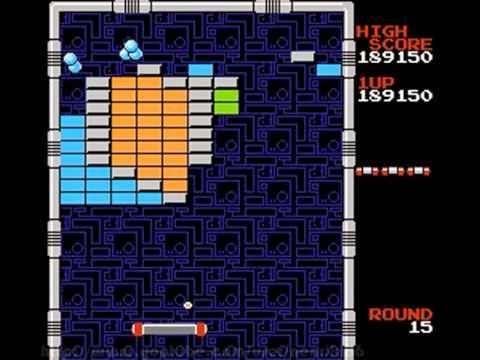 Also Arkanoid was relatively fun, this won't be at all. You will need to use your emotional skills to overcome the increasingly painful shocks and keep playing so that Regina can finally smash all the isms and render the world a safe space. In Office of the Damned, you will take on the role of Cris Scum. Sitting at your desk in your cubicle, where you normally spend most of your day profiting directly from the personal misery of 1st-world shut-ins by undefined means even as GloboCo slowly drains away your very soul. Well, the time of reckoning is at hand. As you attempt to do everything from answering the phone to continuing to sit in your chair, the ghosts of people who trembled themselves to pieces will pop up to explain how you are doing something they are incapable of doing, or alternatively something someone they know is incapable of doing, which makes you a bad person. All text dumps provided by these spirits of righteousness will naturally be unskippable. Only once you have read them all will you be allowed to kill yourself as you should, you horrible pig. Cartoon Network's Adult Swim actually has the prototype for this one, only our version failure to kill yourself in time results in the unskippable text dumps starting over. You will need your strongest emotional skills to resist from following in Cris Scums footsteps, especially if you fail to meet the time limit. Though you probably should. I mean, I can think of any number of people who can't do things you can and insist on doing anyway. 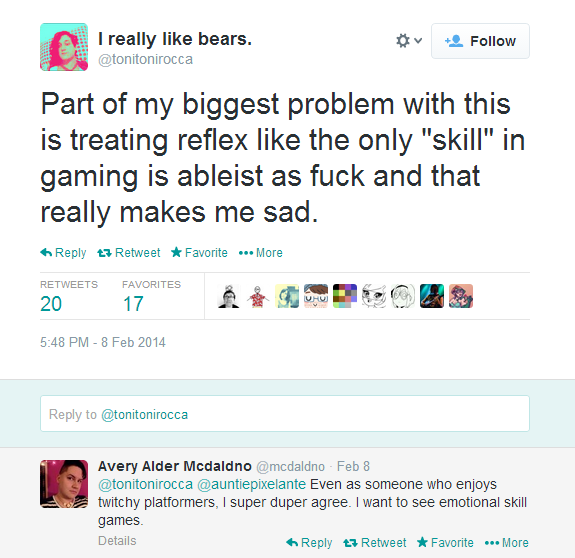 No one should be allowed to do anything someone else can't, that's ableism. It's very triggering. More ideas are pending clearance by our multicultural panel of 14 white people with trust funds, but everyone at Arketer Labs wishes you well with these two to start with, you future Indie Darlings.